Set of 3 traditional wooden children's puzzles from our Animal Pirate range. The set consists of three brightly coloured wooden puzzles, each a different design of dinosaurs. Each puzzle made up of 3 pieces, perfect for little hands. Each puzzle is hand painted using bright colours. Simple for a toddler to put together, this set can help with colour recognition, fine motor skills as well as developing stories and imagination with the completed characters. 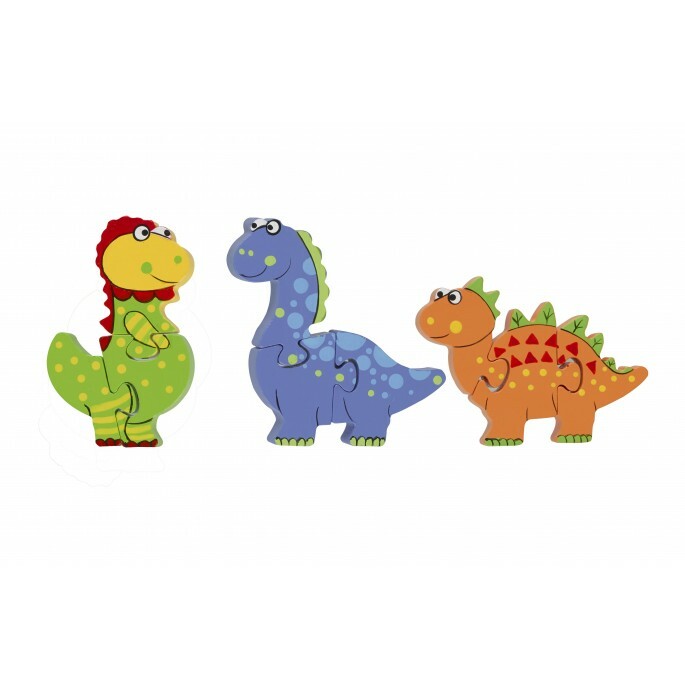 A set of 3 traditional wooden puzzles from our Dinosaur range. Each puzzle is made up of 3 pieces.